The wrap hold pretty good. Two years now without problems. I only had to fix a small pice on the roof. There was the underground not good. But it works good and it looks good again. I would do it again. It‘s made complet new from 20mm tubings. Only the brackets are from “Thule“ to fix it. Finished the Hardtop today and mounted on the Manche. Next step, the outside of the hardtop. After a few weeks I started with the hatdtop. Cleaned all, make it stiffer and start to paint the inside in a light grey. 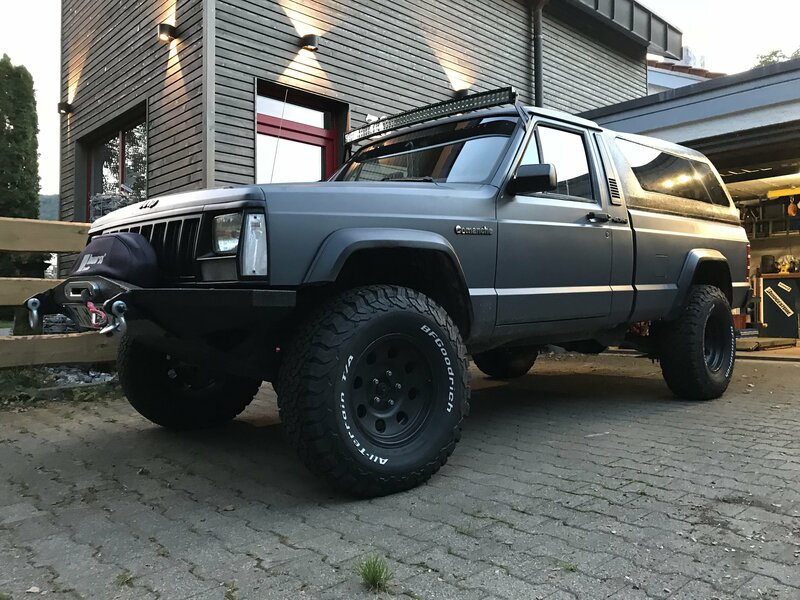 And the look of the Manche without the rollbar look‘s good, too. I don‘t no, sorry. I buy it only because it have the right mesurement.